Future Ordering has raised 22 million from investors Fort Knox Storage and Partners Invest North – partly owned by Almi Invest. The company is developing a cloud service for online orders over the phone, web and kiosk for large restaurant chains and catering operators. Future service Ordering manages an unbroken chain from marketing / loyalty, pre-order via the Web, mobile to the kiosk and Delivery – fully integrated with the restaurant’s cash register system. Behind the company’s experience from ten years of working with digital orders, which today generates millions of transactions. Considerable resources have been devoted to creating a service where, in real time and with the support of machine learning to optimize offer, beställningstid and the average bill and hence the restaurant’s entire profitability. The system will be a natural interface to the new digital assistants that found their way into our homes, cars and telephones. – All restaurant chains now have to build its own digital ordering channel. It is a global industry that needs this type of solution is enormous. Thrill to a company that started in Luleå quickly come to be regarded as the leader in digital self-service in Europe “, says Henrik Wimelius, investment manager at Fort Knox in Umeå. – Being able to develop and manage their own integrated ordering channel is expensive for a restaurant chain, regardless of size. It is much more cost effective to subscribe to a flexible standard and Future Ordering provides just this opportunity, “says Lena Fridlund Forsgren, Investment Manager at Partners Invest. – It is incredibly inspiring with so much confidence from our investors to kickstart marketing. Now we are looking more employees, first customer is live since a few months back in Denmark. We have also become a Gold Partner and made a verified integration with cash register system from Oracle Hospitality. The expansion plan is aggressive, so now it’s about to sell and continue the development of future orders, says Andreas Stormvinge, CEO and co-founder of Future Ordering. PSW Group has taken a strategic step to provide operators with a capping stack as part of Norwegian Oil & Gas emergency response plans. PSW Group’s capping stack was mobilized and deployed in Fensfjorden on the 22nd of August, successfully demonstrating the company’s ability to immediately respond to a well control incident. In preparation for their first operated well, Wellesley Petroleum tested the mobilization and deployment procedures of PSW Group’s stack to ensure their well could be capped within a 72 hour target. The exercise not only tested the capping stack and deployment team, but the associated support systems in Wellesley and Well Expertise incident teams. “The capping stack deployment exercise with our Well Incident Team has increased our knowledge and confidence to react in a well control situation. We are very pleased with the collaborative efforts from all concerned” says Callum Smyth, Country Manager i Wellesley Petroleum. The capping stack is stored at the PSW Group facilties at Mongstad and has a 24/7 duty team available. “Our capping stack can be ready at Mongstad quayside within 24 hours of notification. We have the facilities, tools and personnel to maintain, test and mobilise the stack, as well as deploy and install on the relevant well” says Oddbjørn Haukøy, CEO of PSW Group. Almi Invest invests one million crowns in Falun 1TCompany The company, which has developed a cloud-based service for automatic error handling in applications. In the issue of a total of two million is also participating the privately owned regional venture capital company Dalecarlia Growth. The investment will be used to market the service. 1TCompany, founded in 2017, develops tjänstenCodeRR that automates error handling for applications based on Microsoft’s popular .NET platform. 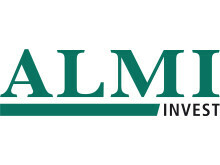 – With CodeRR increases quality and avoids manual error handling, saving time, resources, and reduces the risk of lost revenue, says Håkan Alfon, investment manager at Almi Invest.Med already thousands of downloads we think CodeRR is ready for the next step, and commercial launch. We look forward to be part of that journey. Today, corrected errors generated by IT applications manually by the developer goes through the program to try to identify the error, which is a time consuming job. CodeRR detect errors, analyzes and can provide suggestions for actions automatically. The error handling is faster because CodeRR specify where and how it went wrong in the code. – After many years as a developer, I know that it spends several hours to find and analyze errors that occurred. That’s how I got the idea to create a tool that automates the management of errors so that I can focus on better solution quality, says Jonas Gauffin, founder of 1TCompany. CodeRR launched as open source by the end of last year and is already available for free download and evaluation. 1TCompany are now ready to launch the service with extended functionality ready for operation environments. Helsport is one of the world’s leading manufacturers of lightweight sleeping bags and tents. Now the company will join Swix, Ulvang, Lundhags, Hard Rocx and Toko as part of Swix Sport. “In the outdoor segment, we already offer a wide range of equipment, footwear and clothing from Lundhags and Ulvang. We can now supplement this offer with tents, lavvus, sleeping bags, backpacks and mountain trekking equipment for the full range of users, whether they need equipment for extreme conditions or favour comfort and user-friendliness”, explains Tomas Holmestad, CEO of Swix Sport, in an interview with Ferd Magazine. Stein Helliksen, the owner and CEO of Helsport since 1974, emphasises that he regards Swix Sport as a good and reliable owner with regard to the company’s further development now that he is selling. He will continue, however, to serve as the CEO of Helsport, and there are no plans to move its head office from Melhus just south of Trondheim, which is where 16 of the company’s employees will remain. The company also has a marketing office in Oslo with a further two employees, who will now be moving to Swix premises. Stein Helliksen has decided to sell the company following a period of strong growth. With record turnover of NOK 120 million and its best ever profit, 2016 was the company’s best year ever. 2017 is shaping up to be even better in every way. “Helsport has never been better positioned than it is today – and I see this as a good starting point for becoming part of a larger constellation in an industry that is facing both restructuring and challenges, but that also offers great opportunities”, he comments. “We have a range of products that have features that make them the best in the world. With Swix Sports’ resources, international subsidiaries and distribution facilities, both parties will be able to reap significant benefits”, he explains. oday, EQT VII portfolio company IFS, announces that it has signed an agreement to acquire WorkWave – a leading provider of highly scalable, cloud-based Software-as-a-Service (SaaS) solutions for field service, last mile delivery and logistics industries. When EQT VII acquired IFS in 2015, the ambition was to further accelerate an already strong growth through selective investments in IFS’ focus verticals. With the acquisition of WorkWave, IFS is increasing its global leadership within Field Service Management and is further expanding its North American footprint, making America IFS’ largest geographical region. “The management team, led by CEO Alastair Sorbie, does an impressive job strengthening IFS’ leadership positions in the verticals it serves. Following the acquisition of Mxi within the IFS aviation and defense segment, WorkWave is an important milestone in realizing IFS’ global field service management and cloud strategy. The growth path that IFS has embarked on is remarkable and it is another great example of EQT’s ambition to future proof its portfolio companies”, says Per Franzén, Partner at EQT Partners, Investment Advisor to EQT VII. Almi Invest invests SEK 1.6 million in Sundsvall company AppliedGroup Nordic, which develops a cloud-based customer loyalty programs for online merchants. In the issue of a total of over three million is also participating Savings Bank Foundation and private sector investors. The money will go to the development and marketing for the launch of its service in October. With AppliedGroups service called Penguin (formerly Applied Loyalty), e-retailers flexibly design their own loyalty programs. The system collects data about customers’ interests and buying habits, in order to offer benefits and discounts specifically tailored for each customer. The system also rewards e-commerce customer engagement in social media. A customer, such as parts or like Facebook Posts from an e-retailers will be rewarded. What kind of reward given is up to the individual e-retailer. – Customer loyalty is key to e-retailers, says Mats Håkansson, Investment Manager at Almi Invest. AppliedGroup offers a concept of the end customer’s perspective in mind and we believe that this responds to a wide customer needs. The underlying need for AppliedGroups service is increased sales and improved margins for e-retailers, primarily through increased frequency of repeat purchases from customers. The service was developed in cooperation with a major e-retailers, with positive results. In October, it’s time for a broader rollout. – With this investment we will be able to carry a full introduction to the market and get the show in black and white what great benefit traders get out of our service, says Johan Wikström, President of AppliedGroup. 3i Group plc (“3i”) today announces that Ponroy, a leading manufacturer of natural healthcare and cosmetics products in which 3i invested in January 2017, has acquired ERSA Group (“Aragan”), a designer and distributor of premium pharmaceutical food supplements. This acquisition will strengthen Ponroy’s presence in the pharmacy channel, which represents more than half of the food supplement market in France. Under the leadership of Philippe Charrier, the combined group will be a leading player in the natural consumer healthcare industry in France with revenues in excess of €200m. Ponroy will benefit from Aragan’s innovative culture and Ponroy’s international presence will enable Aragan to penetrate new markets outside France. Aragan, which employs approx. 100 staff, sells its food supplements through three brands: ARAGAN, SYNActifs and ERBALAB. The company has grown at 40% p.a. since 2012 into one of the leading players in the pharmacy channel in France, by using its innovation-led approach to develop a number of professional brands based on health and wellbeing. The combined business will become #4 in the pharmacy channel in France, with around €50m of revenues. Funds advised by Bregal Unternehmerkapital have acquired a majority stake in gabo Systemtechnik GmbH. The company is based in Niederwinkling/Bavaria and develops, produces and distributes micro duct systems to major European telecommunication companies as well as local fibre network operators and municipalities. Its array of products comprises more than 800 pipes, fittings and sealing elements which can be combined individually. gabo employs about 150 people and currently predominantly operates in Germany, Austria, Italy and Belgium. The company has been recording significant and sustainable growth for many years. With the investment, Bregal Unternehmerkapital plans to continue gabo’s successful path together with the management team. The focus remains on internationalization, sales activities and development of new products. Bregal Unternehmerkapital is looking forward to working jointly together in a promising market.